Two giants of extreme computer music go head to head, and if you’re brave enough to put your skull in the firing line, there’s considerable pleasure to be gleaned from the pain. 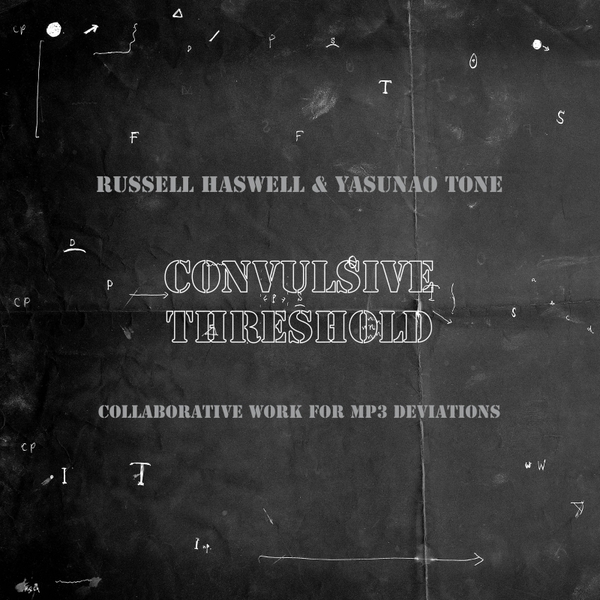 Never content to accept music technology at face value, both Haswell and his Japanese sparring partner have spent years developing their own generative tools, and finding ways to deconstruct, pervert and reinvent existing software, hardware and media. Haswell has explored the limits of DAT, Xenakis’s UPIC system and analogue synthesis, while Tone is probably best known for his Wounded CD works and MP3 Deviation software, both fundamentally about disrupting conventional tools’ function and data flow with human input. Comes packaged in a Vinyl size sleeve.